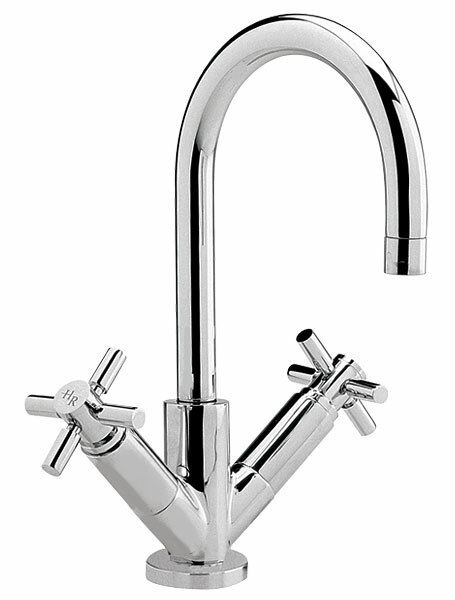 Home » Posts Tagged "basin taps"
Looking around at new ranges of square bathroom taps and I came across the Navona collection which is a brand new range which I had not noticed before, it has a lever that is flush to the top of the handle which is a slightly unusual approach but very neat in design, although this is a small range it has every thing that is required for a bathroom, in the collection is either a pair of basin taps or a mono block basin mixer, there is a bidet mixer and for the bath the choice of a separate pair of bath taps a bath filler or a bath shower mixer. In the picture to the left is the mono bloc basin mixer and a bath filler, to know the quality of the product the handles have to be smooth in operation which is generally a good test of the quality brassware and these are certainly up the the standard I would expect. Value for money is where this range really stands out the basin taps come in at just £55.00 with the basin mixer just £63.00 even the bath shower mixer is well priced at £156.00 which makes this range my choice for quality at a price, if you would like to view the whole range on offer then just click here. The QL2 bathroom taps from Tapstore.com bring design style of the moment that is destined to become a future classic. 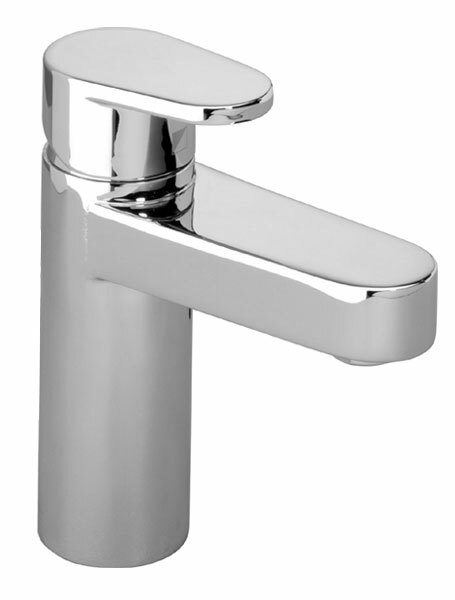 An obvious feature of these basin taps and bath taps is the distinctive square body and spout together with a complementing cube lever handle that ensures ease of operation. 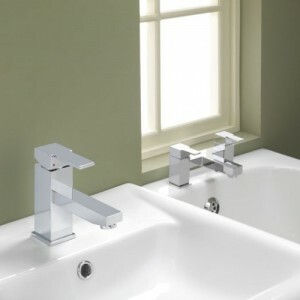 A collection of matching showers is also available to complement these taps. With their current special offers you can now save up to 28% and prices start from only £107.00 inc. VAT and free mainland UK delivery.